Part three, over half the book, deals with the Formula of Concord. [...] Part Three, dealing with the various controversies addressed in the Formula of Concord, provides a rich tapestry of history, theology and politics masterfully woven together. The authors give the reader a sense of the characters involved, rather than a simple chronological unfolding of the controversy and resultant solution. At times, this section is like reading a novel filled with intrigue and suspense. Overall, I am impressed with how much is packed into the pages of this book. More than a simple history book, and more than an executive summary of the theology of the Book of Concord, this volume provides an excellent synopsis of the history, theology, politics and characters of the reformation. 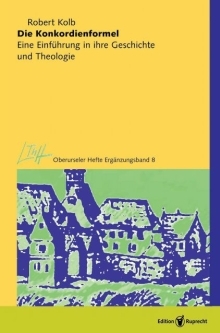 It is ›must‹ reading for anyone taking a course on the Lutheran Confessions or wanting to know about what went on behind the scenes as these symbols were developed. While the authors do not solve all the puzzles and unanswered questions, they concisely explain and ground the Confessions, allowing these symbols of an ecumenically minded Lutheranism to be heard in fresh way.